Jason Spezza is now on the market and St. Louis is one of the teams rumored to be among his preferred destinations. The Dallas Stars and Anaheim Ducks are also said to be preferred targets, but there’s no doubt a Spezza-St. Louis combination would work very well. First and foremost his 10 team no-trade list indicates he doesn’t want the media and fan scrutiny of a big market. His desire to play outside of Canada is a strong indicator of this. But his inclusion of the Florida Panthers and New York Islanders, for example, shows he wants to play for a contender as opposed to a basement dwelling team. This is good news for the Blues because they have the feel of a small market with the competitiveness of a big market. Plus, despite what recent playoff results may indicate, this is a playoff team that could compete with the right group in place. Another benefit of Spezza’s is his scoring and playmaking prowess. He has the ability to pick a corner with a slap shot or dangle between two defenders before feathering a pass to a teammate or finishing the play himself. This pure offensive ability is something the Blues have been lacking recently. In 2013/14 for example the Blues were one of the best teams in terms of scoring depth. While that is an asset, every team needs an offensive catalyst or go-to player to provide a spark. St. Louis didn’t have that player last year as Alex Steen led the team in scoring with just 62 points, followed by T.J. Oshie with 60. Spezza, though, has failed to score fewer than 20 goals just three times in 11 years, mainly due to a lack of games played. That said, one of Spezza’s best offensive seasons came in 2006/07 when he scored 34 goals and registered 87 points in just 67 games. Add to that the fact he is a point-per-game player and Spezza once again looks like someone the Blues really need. Spezza is rumored to have a list of preferred destinations for a trade, with St. Louis being one of those teams. The odds of him taking over the role of captain from David Backes are slim, but that shouldn’t affect the possibility of a trade. But while all may seem well on the surface, Spezza does come with some baggage. His health (mainly his back) is a concern having played just one full season in his career. And his defensive play has been a big issue lately (his plus-minus and giveaway numbers reflect as much). Fortunately the Blues are one of the best defensive units, which could help hide Spezza’s defensive mishaps. 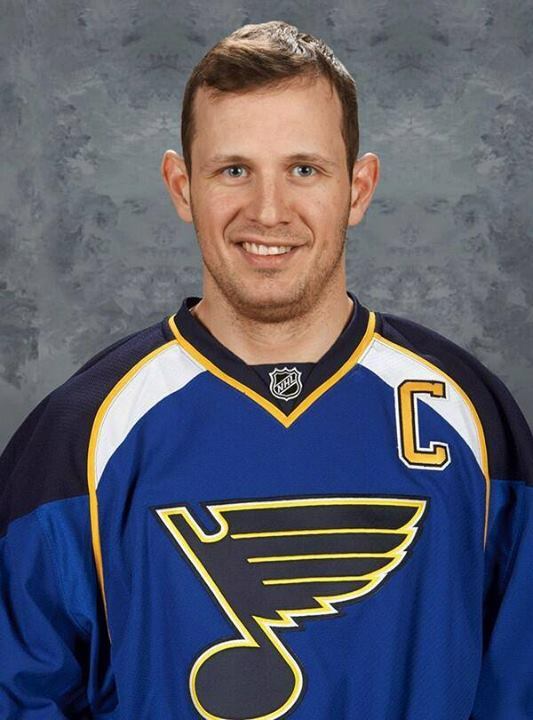 In order to get Spezza, the Blues will obviously have to make a trade. Sens GM Bryan Murray has indicated his asking price is an NHL-ready top six forward, a prospect and a first round draft pick. The Blues have nine draft picks this year, so they can afford to be liberal with how they move them. The top six forward who gets moved could just be Alex Steen – despite starting his new contract this season – or T.J. Oshie. It’s likely St. Louis won’t deal Jaden Schwartz or Vladimir Tarasenko given their youth and potential, but things could change in negotiations. Two prospects the Senators may be targeting are Ty Rattie and Cody Beach, who are each 21 years old and play right wing. Very few of Ottawa’s prospects play the wing, and of those who do, an even smaller number play the right side, so each player would fill a hole. Regardless of what the Blues give up, there’s no doubt Spezza’s value to the team would be immense. He has shown in the past that, as long as the chemistry is there, he can make good wingers great (see: Dany Heatley’s and Daniel Alfredsson’s numbers from 05/06 to 08/09).